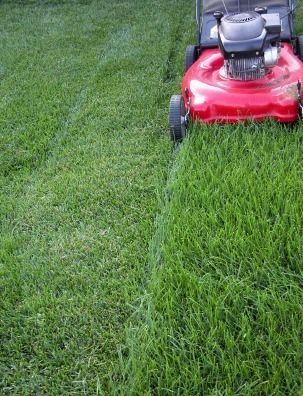 Mowing your grass at a higher level will actually benefit it by encouraging the grass to develop deeper roots. The deeper the roots, the more water your grass can absorb. Although you do need to water your grass more in the summer, this doesn’t mean to water it every day; you don’t want to drown your grass. Instead, water your grass for an extra 10 minutes on the days you would normally water. If you have JEA for your utilities, you can check the watering schedule for your area here. If you have Florida Power and Light, you can check it here. In the summer, the sun’s up a lot earlier and sets a lot later than in the winter. So you’ll want to adjust your sprinkler system accordingly. It’s best to water before the sun comes up or after the sun goes down, to avoid the sun soaking up all of the water before it even reaches the roots. Here in Florida, it’s best to use either St. Augustine, Bermuda, or Zoysia grass. These grasses can withstand the summer droughts, and the winter freezes. Picking the right grass can help keep your grass alive in the extreme temperatures.